Cycling Cruise... What the Heck?! What the Heck is a Cycling Cruise? 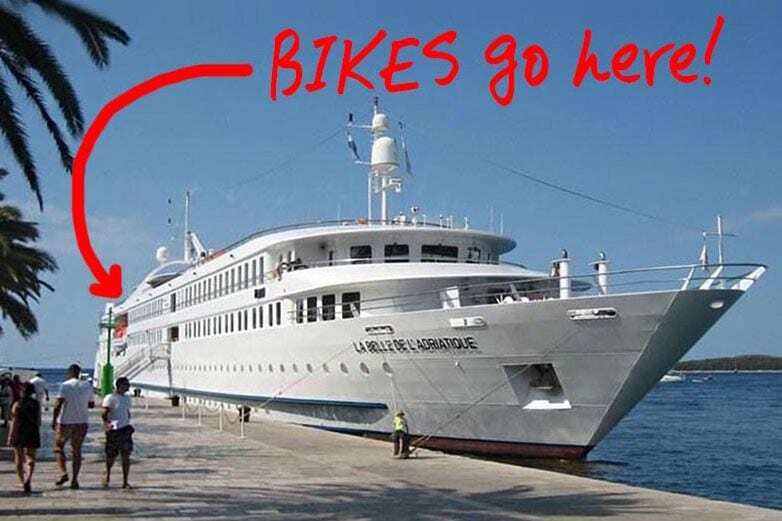 In 2005 Santana set an entirely new standard for cycling tours by chartering a luxurious cruise ship. The couples that joined us on that first cycling cruise discovered FIVE advantages. First, they were freed from a wasteful hour of daily drudgery. When you stop to consider the steps, previous bike tours waste an hour of precious vacation time with each change of hotels. That’s how long it takes to find the hotel, figure out where to park and lock your bike, stand in line to check-in, find your stuff, schlepp it to your room, unpack to clean up before dinner, repack the following morning, drag your luggage to the truck or van and then stand in line to check out; all before unlocking your bike and pedaling to the next hotel. On a chartered cruise ship you unpack once. Instead of living out of suitcases, waiting in front-desk lines, or securing your bike, you simply flash your scan-card as you walk your bike across the gangway. Second, when participants didn’t need to adjust to a new mattress, pillow and thermostat each evening, they slept better. The spacious staterooms on Santana’s charters are soundproofed, individually air-conditioned and furnished with luxurious twin or king-width bedding. Private bath with shelves, cabinet and hair dryer? Of course. Third, superior cycling. Previous forms of bike tours follow a dot-to-dot format. When viewed on a map the dots show the location of the overnight stops and the lines are the rides linking them together. A few lines represent fault-free days of cycling. Most of the lines are flawed. Stretches of busy roads with boring or ugly segments are a natural feature of routes linking places to sleep. A cycling cruise breaks the dot-to-dot pattern. 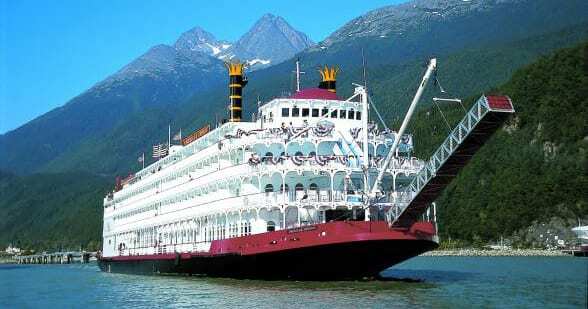 As you dine, shmooze and snooze the ship unties and relocates up to 150 miles, passing all those less-than-perfect stretches to find a hand-picked spot for a superior selection of rides. Compared to a set-in-place string of hotels, a cruise ship is like a magic carpet that allows a perfect string of vacation days; all with great cycling. Fourth, a wider choice of rides and activities. Santana selects ports after scouting thousands of miles of available routes. Each day has multiple choices. Shorter routes are flatter and follow the coast. Longer options loop inland to find great climbs and descents. Normal cruises stop at one port per day. On most days of a Santana cruise our chartered ship sees us off on our morning ride before racing down the coast to welcome us back aboard at a different port. When the ports are separated by too many miles or hills, a morning convoy of buses and moving vans can whisk some or all riders (and our blanket-wrapped bikes) to a various higher-elevation ride starts closer to the afternoon harbor. 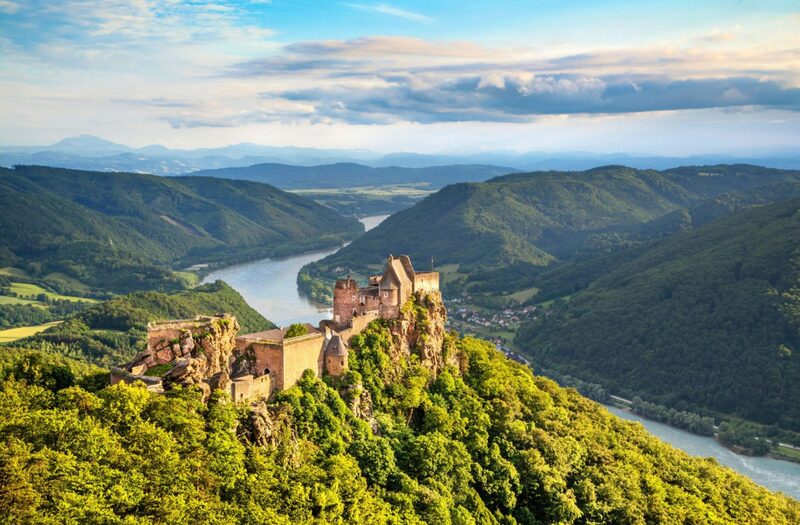 Unlike previous tours, the afternoon rides of a cycling cruise feature a downhill finish. Additionally, every day is a potential layover day. If you “play too hard” on one day, it’s always OK to take the following day off. If you don’t ride, there’s an additional choice. You can enjoy the ship before exploring the afternoon port, or hop aboard Sergio’s reclining-seat coach to see the country. It’s your vacation, and no other cycling tour features a wider range of included daily options. Fifth, multiple regions or countries. When you look at other week-long cycling tours, the total distance between start and finish seldom exceeds 250 miles. At most you’ll experience two adjacent regions. On Santana’s cycling cruises you’ll cover up to 1,000 miles and allow you to experience twice as many regions. Most cruises cross international borders (while you sleep!) to experience multiple countries. When you consider how much it costs to fly to-and-from Europe, why not sample more places before returning home? Q: Are Santana’s Cycling Cruises for Tandems, Singles, or Both? A: Both. 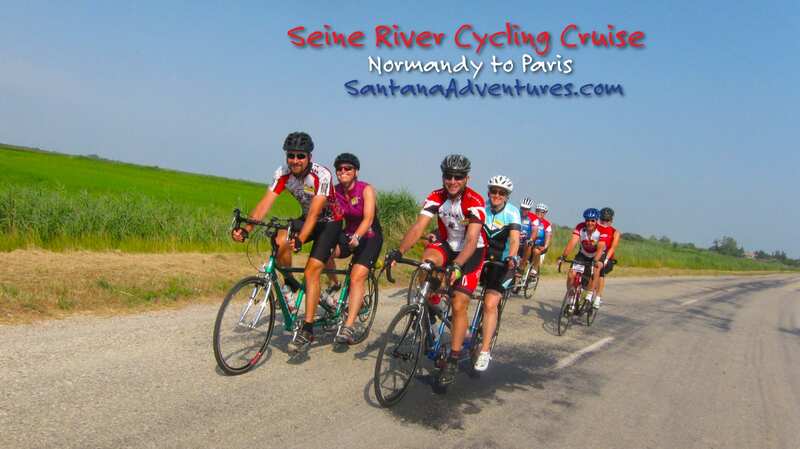 Although Santana’s earlier events were limited to tandems, the attractiveness of our cycling cruises caused our tandeming clients request exceptions for their friends who ride singles. We’ve embraced the change! Q: Is this like a barge cruise? A: Is a Volkswagen camper-van like a luxury motor home? The average barge is a converted freight boat with a crew of 5 that travels at 4 miles per hour during the day and remains tied-up at night. A week long barge cruise rarely exceeds 125 miles. Lots of cyclists try this option once. Our chartered ships have a crew of 40 (including an gourmet restaurant staff), and can travel day or night at 15 miles per hour. On our cycling charters the average participant is joining Santana for their third cruise. Q: Why haven’t I heard more about Santana’s cruises? A: Santana’s real business is building tandem bicycles. After tandem enthusiasts repeatedly asked Santana’s founders (Bill and Jan McCready) to share their personal cycling vacations, Santana’s inn-to-inn tandem tours were born. By 1997 Bill & Jan reached their current limit of 6 “shared vacations” per year. Never advertised, future adventures were announced via Santana’s postal and email lists, which grew to over ten thousand couples before Santana chartered its first cruise ship. Once they experienced a cycling cruise, these couples lost their appetite for inn-to-inn tours. Since 2012, when Bill and Jan abolished the tandems-only requirement, the program has grown to a half dozen cycling charters per year. Advertising? Catalogs? Agents? Purchased reviews? Santana’s trips fill without resorting to these measures; which is why our cruises are LESS EXPENSIVE than premium inn-to-inn tours. A: After we dropped the tandem requirement, many of the solo-bike riders brought a non-cyclist. The cyclist enjoyed the daily ride while their partner enjoyed the cruise. Jan’s response was the inclusion of Sergio’s panoramic coach with reclining seats. A daily option for all participants, non-cyclists enjoy a reserved window seat. Those who hop aboard not only see the countryside and visit top sights, they often have the ability to meet up with the cyclists for a shared lunch. Santana’s cruises are best possible vacation for a serious cyclist to share with a casual rider or non-cyclist. In spite of differing abilities, neither partner needs to crimp their style or settle for less. Q: What if both of us are casual riders? A: If you don’t want to learn how to fix a flat or endure two months of weekend training rides, please consider a tour provider with free rental bikes and multiple sag-wagons. A: Over 90% of our clients bring their own bikes. Packing and flying with a tandem or pair of single bikes is considerably easier and cheaper than most imagine. We provide full instructions that make it easy and inexpensive to fly with your bike. If you decide you’d rather rent, Santana’s rental fleet is comprised of enthusiast-quality tandems. If you prefer single-bikes, we’ll supply a link to an online supplier who has agreed to provide free delivery and retrieval. You’ll work directly with our recommended supplier to get the bike and equipment you desire. Q: You don’t have sag-wagons? A: Our mechanic-driven SOS vans don’t sweep routes. Instead, they reach strategic spots and wait for calls. When you use your smartphone to supply the satellite coordinates from your GPS, our mechanic can reach you within a few minutes (even if you’re lost), and has the tools, spares and experience to take care of anything more serious than a flat. On days you don’t want to tackle the shortest and easiest ride, Sergio’s coach that stops at villages and historic sights is ten times better than spending hours stuck in the back of sag-wagon. More restful still is a morning aboard a cruise ship. While waiting to explore the afternoon port you can sleep in, read a book, nap on a deck chair, splash in the small pool or visit the bridge. A professional crew of 40 is there to prepare your lunch and take care of your needs. Q: Are there other bike cruises? 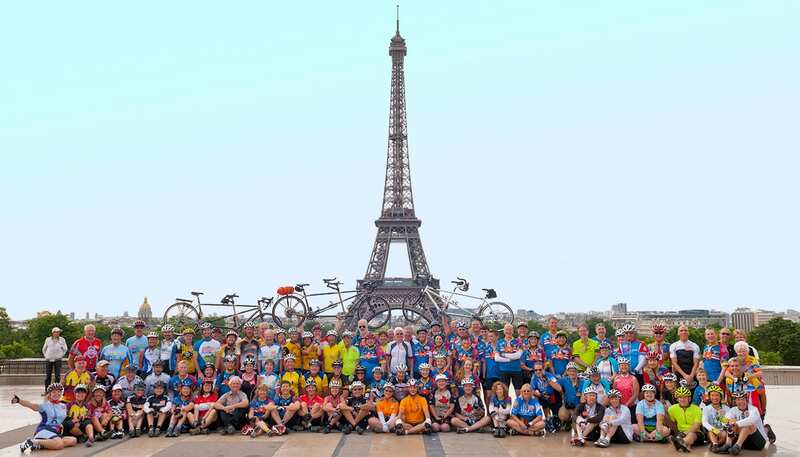 A: It took a few years, but larger bike tour companies have recently joined us. 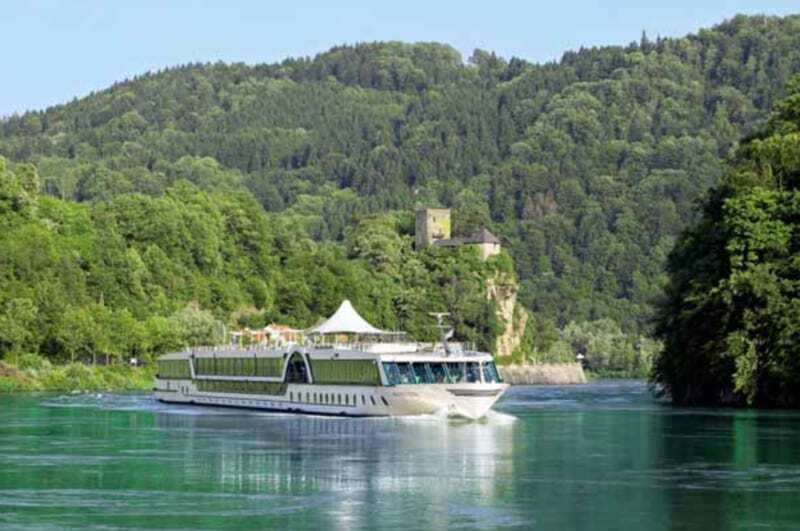 The usual difference is that big tour companies book a few rooms on a shared cruise that visits one port per day. On their ships over three quarters of your fellow passengers will be slow-moving seniors. The ports are their itinerary were not chosen for cycling. Their “leaders” show up most mornings driving a van that tows a trailer full of rental bikes. The varying length rides follow a single route that’s relatively short. If you can’t keep up or ride farther, you’ll be sequestered in the back of the van. Pricing? Their watered-down week with “free” rental bikes and fewer options is $1,000-$2,000 higher than Santana’s custom cycling charters. Their offerings are, however, a better answer for novices who aren’t yet ready for a Santana cruise.